In 2012, a grassroots initiative to raise epilepsy awareness was started by Ron Lamontagne in Connecticut. Since then, the Purple Pumpkin Project has taken on a life of its own. His hope is that people will reach out to their local Epilepsy organizations to host PPP events and continue raising awareness. 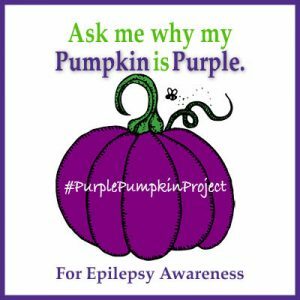 We love the idea and the spirit that comes with it and so this year, we at Epilepsy Toronto will be painting our pumpkin purple and we are are encouraging our members to do the same and to share their photos. 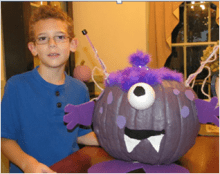 If you post a photo of your purple pumpkin creation to Facebook, Twitter or Instagram, please tag us at @EpilepsyToronto as we’d love to share your photos. And don’t forget to hashtag it too, #PurplePumpkinProject.